California was sued over prison overcrowding, and to comply with a federal court-imposed population cap, the Brown administration now keeps most lower-level offenders in county jails instead of state prisons. Additionally, voters in 2014 reduced penalties for drug and property crimes and last fall approved the earlier releases. State Sen. Jim Nielsen (R-Gerber) said reformers falsely promised a “prison dividend” from savings related to the changes. Instead, there’s now an uptick in many crimes and he’s worried it will lead to an influx of new inmates that will cost more to house. “We released all the low-risk, kind of low-need, and we kept in the high-risk, high-need,” she said. The EU seems to understand the phenomenon, which is why it takes such a hard line against regional separatism. There are 276 distinct regions within the EU, and if even a fraction of them go down, the secession route the EU is doomed, because if membership in the EU means dissolution of nation states, it is a political suicide pact for national governments. Anyway, this story has brought back a lot of that resentment. It’s not personal, really, but that only makes it more sweeping. As I write in my book, higher education is like a training academy for the New Class. It is a giant shibboleth factory for a new caste and class system. Even if it were working properly, the meritocracy industry would have a lot to answer for, as people like David Brooks, Charles Murray, and Ross Douthat have chronicled for years. I’m a pretty conservative guy, but on this stuff I am increasingly radical. I’d say burn it all down and rebuild on the ashes, except I worry that the people who would get all the reconstruction contracts are the ones who created the problem in the first place. In a new interview with the Israeli newspaper Haaretz, the chair of Harvard University’s Astronomy Department Avi Loeb defended his controversial hypothesis that the interstellar object known as ‘Oumuamua could be an alien probe — and speculated at length about the place of humanity in the cosmos. 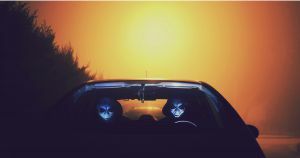 Avi Loeb, the chair of the Harvard Astronomy Department, has long been preoccupied with the question of whether humans are alone in the universe. 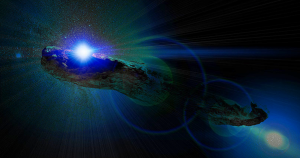 He’s speculated that fast radio bursts could be messages from extraterrestrials, theorized about alien megastrucutres, and suggested that an interstellar object that cruised through our solar system could be a probe from another civilization. As a way to combat global warming, scientists are working on a novel way to take CO2 and turn it into useful products. The debaters of the Bard Debate Union at the Eastern New York Correctional Facility are methodical in their approach to their craft. They take the stacks of materials they are provided and carefully comb through each item, extracting the specific pieces of data they will use to support their claims. They are critical of one another and push each other to improve. They practice constantly. This hard work is all done within the confines of a maximum security prison. Our debaters face a unique set of obstacles – they wait weeks to receive the information I gather for them from internet sources, and they have limited time to type and print their ideas. But everything paid off last month when the team, whom I coach, beat Harvard in a debate about whether public schools should be allowed to deny enrollment to undocumented students. Most of the overwhelming media attention about this debate has focused on the fact that our students were victorious. No one has yet told the story about how they prepare for debates. I started the Eastern branch of the Bard Debate Union in the summer of 2013. The goal was to provide a competitive outlet for Bard students at Eastern that would mirror what was happening at the Bard Debate Union on the college’s main campus, where my wife and I co-direct the undergraduate team. Bard Debate Union members see themselves as part of one team, despite the obvious physical distance between the two branches and despite the fact that prison rules mostly prohibit them from debating together. There are, at any given time, 15-20 students at our weekly, two-hour meetings. Our sessions consist of strategy discussions and practices. But my contributions to these Bard Prison Initiative students – they must be enrolled to participate in debate – pale in comparison to the work they do on their own. When they aren’t in class, BPI debaters request time in the school to meet. When they can’t get into the school, they talk debate in their cells, the yard and the mess hall. They verbally spar with BPI students who are not on the debate team, and talk with their families – creating for themselves a group of informal coaches. And some of the veterans of the team, like Rodney Spivey and Darryl Robinson (among many others), have worked tirelessly to help build the debate team at Eastern into what it has become by welcoming and training new members. Our debaters spend hundreds of hours preparing in the three to four months they usually have to get ready for a debate, in addition to carrying full course loads. 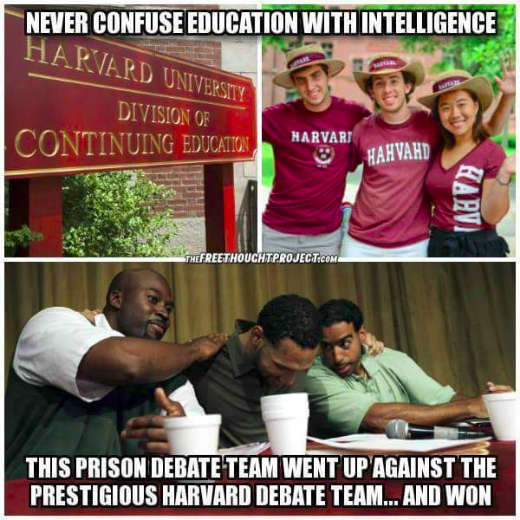 On 18 September, after facing off against Harvard at the prison, our debaters were deemed the winners by a veteran panel of debate judges – Mary Nugent of Rutgers, Steven Penner of Hobart & William Smith and Lindsay Bing of Cornell. Our debaters were honored that members of Harvard’s team were willing to engage them in competition, and the contributions and character of these Harvard debaters should be celebrated. It is critically important to remember that our debaters are students first and debaters second – and prisoners a distant third. By the time I encounter BPI students, they have been trained by an incredibly gifted group of faculty members, so I deal with highly literate and intellectually curious students. One of the primary goals of the Bard Debate Union at Eastern is to provide a robust civic education, in which our students learn how to engage in their own governance. Many of our debaters openly express the desire to someday make positive contributions to society. I have no doubt that they will.